I always enjoy discovering new blogs and I have found that the best way is through blog link ups, this is when other bloggers share their favourite bloggers, Instagrammers et cetera. Naturally I had to make my own, in my 'Look at what I found' series I will be sharing bloggers, Youtubers, online stores, just about anything that I have discovered and you have to know about. 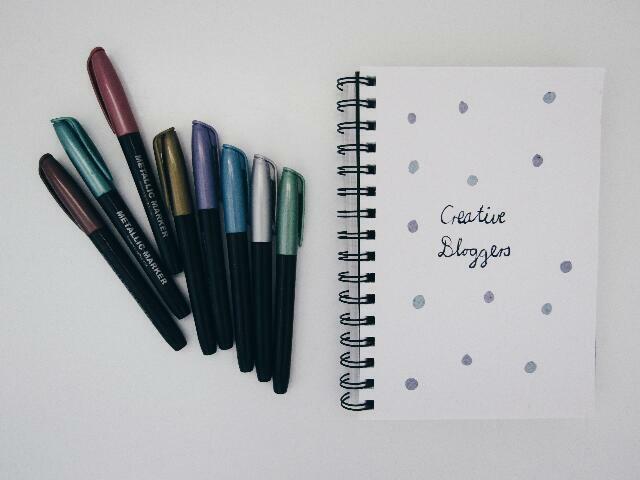 Today is all about the creative bloggers! She is one of the people that inspired me to do this link up. I have been following her for quite some time now, both on her blog and her Instagram. I love her cute little doodles and her style of art . I have discovered so many creative bloggers through her monthly blogroll. I'm really happy I discovered Found Some Paper before that I was very unaware of the creative blogosphere but now I can compile an entire post on creative bloggers. By following her journey I have really been inspired me to create some of my own work. I have always been a crafty girl, one of the first posts I shared on this blog was a DIY I have since drifted away from that a little but I will surely be doing more in the new year, so look out for that. Not too long ago I was googling some Tumblr DIYs because who doesn't like some Tumblr DIYs? I am really glad I found this blog, there are lots of DIYs that I really want to try. This guy is really creative, if only there was a way to absorb creativity. This blog is filled with countless projects, A little craft in your day has definitely added a lot of craft in my day. Last but not least is yet another recent discovery. I really enjoy reading her blog and I want everything in her store. So if you want to buy me a Christmas present look no further. I also love her weekly reminders, they are so inspiring and make me realise how easy it is to forget the little things. Oh, oh, oh! Creativeness! Thanks for sharing. Now I can expand my list of bloggers I like! No problem, that is fantastic!